This essential visual guide to Solo: A Star Wars Story explores the world of young Han Solo in unparalleled detail. 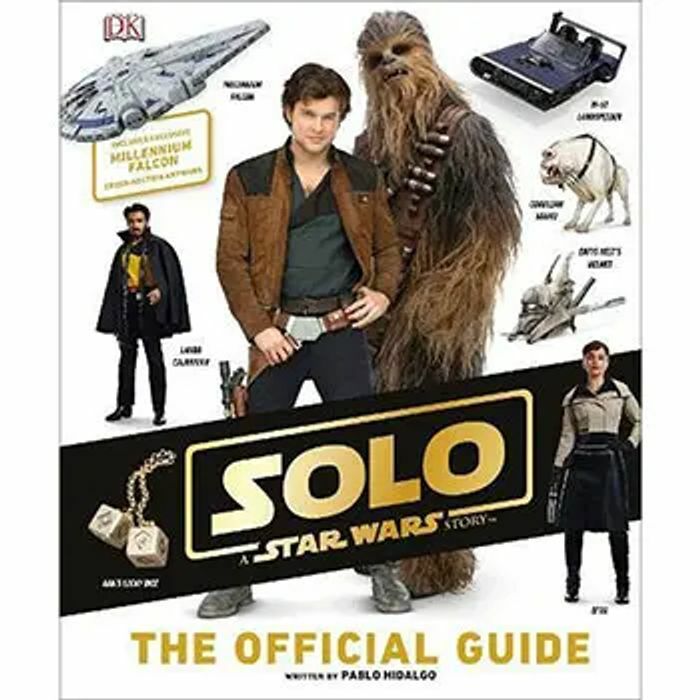 An authoritative companion to the latest Star Wars movie, Solo: A Star Wars Story The Official Guide features the fascinating planets, vehicles, and aliens that Han Solo encounters on his early adventures. Explore key characters, locations and props in captivating detail with extensive production photography and see the iconic Millennium Falcon as it's never been seen before, in an exclusive cross-section artwork by Richard Chasemore. Sorry to be critical, but your titles always read as the item is free, because you separate the word from "click and collect". It's really annoying as it just leads to disappointment because they're so misleading. TheDoog thanks. You post some good deals, it's just the titles are sometimes misleading. Also, including free in the title at all means it'll come up in a search for "free", which isn't helpful (people often don't post freebies as freebies for some reason, so a search is needed to find them all). I don't want to be the deal police, just trying to make the site a better user experience for everyone by providing feedback. There must have been deals you've seen that initially looked great but were then disappointed when you opened it, because the title was misleading? I'm just hoping that through feeding back to people, we can prevent things like that happening in time - hopefully others can be a bit more critical of deals/deal titles too so we can all help each other improve the quality of posts.